We’re pleased to share this article from guest contributor Sandra Bradshaw. Sandra is a former special-education teacher, and has been a Feldenkrais practitioner since 1999. Located in Kelowna, BC, Sandra has a successful home-based practice. Click here to visit her website. In an economic climate where people are counting their pennies, they want the best value for their money. An FI is expensive and in most cases can’t be claimed on medical insurance, so what are you going to do to help your clients get their money’s worth? The most obvious answer is to meet their needs. Of course this is simply good business practice and in hard economic times it is the businesses that meet people’s needs that survive. A buzz phrase that comes up frequently in our present economic reality is “value added”. This means, the more I can anticipate and meet my clients’ needs, the more likely that we will have a lasting relationship. I am not talking about what you do on the table, but all of the other extras that add up to quality service. As a Feldenkrais practitioner more often than not your first contact with a prospective client is a phone call. If you have a low budget operation like I have, that first contact will probably be a voice mail message. It is said that in the first 3 seconds of connecting with a new person you are evaluated and judged, and that first impression is virtually irreversible. When your voice message is their first connection with you it has to have a positive impact on the caller that will carry through to your return phone call. Make it short and to the point asking for a call back time when they will most likely be available so that you don’t have to play phone tag. Include something in the message that gives the caller a sense of who you are and how you view life. My “value added” phrase is, “And have a glorious day.” It might sound a little hokey, but people appreciate a warm fuzzy and it gives them a sense of me as an approachable positive person. I’m always surprised at how many people reciprocate the sentiment at the end of their message. If you are going away and the office will be closed for a period of time, make sure that you have an absent voice mail message. 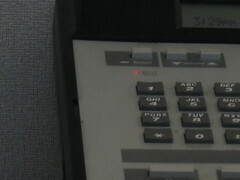 Include the reopening date of the office so that they know when their call will be returned. When you answer voice mail promptly you are sending a message that you value the caller and that s/he is important to you. This is already a “value added” tactic because it is adding to that first impression the person is getting of you. A few years ago I was receiving treatments from an alternative health care practitioner who was slow to answer my phone calls. It would often be 2 to 3 days, or a sometimes even longer before I heard from her. Not only was she slow to answer my calls, she also had a long list of reasons for the delay when she finally did connect with me. It wasn’t long before I started looking for someone else who was more receptive to my needs as a client. When you are speaking to clients make sure you have lots of time so that the call is not rushed. Of course there are always people that will chew your ear off if you let them, so give them a 15 or 20 minute limit up front. That way they know that you are willing to spend a “value added” amount of time with them. The experts will tell you that any time you are out networking 90% of your time should be spent listening and gathering information and 10% sharing your information. A phone call is no different. Be prepared to listen to the caller and if necessary make a few notes as s/he talks so that you can refer back to the conversation at the first appointment. When you ask the right questions you can find out the callers needs quickly and efficiently. The caller will feel valued when you show an interest in their story. If you have your listing under massage, yoga or fitness the caller may be looking for one of those modalities. You quickly determine that they know what they want, and it is not a Feldenkrais session. Give them your 30 second elevator speech so that they know what you do and how it connects with the modality they are looking for, then give them some names of practitioners that are good in their field. Position yourself as a community resource that can give them “value added” information so that they will remember your name as someone that could potentially help them in the future. Make it your business to know who are the best Pilates, Yoga, Massage, Chiro practitioners, etc. in your community, and get to know these people so that they will also refer people to you. Once you have asked your questions and listened to your caller’s needs you are now in a position to give them some value added information. Most of the time a brief explanation of the Feldenkrais Method as it would apply to them is enough. However, from time to time you will have someone who wants more than that before they commit to an appointment. If the caller indicated that they would like more information get their email address so that you can send them additional information. Last week I had a phone call from a woman whose son has ADHD. I quickly determined that this mother was looking for information, and that she was frustrated with the help or lack of it that her son was receiving through the school system. As a former education teacher, I have a lot of background in this area. I asked her questions about her son, about the school situation, and his program. I listened to her concerns. During the 15 minutes I spent talking to her, I outlined some of the things that I thought would be beneficial for her son, including but not exclusively the FM. I gave her names of other professionals in our community whom I have worked with that are not feldies, but their work philosophically aligns with the Method. I suggested a few strategies that could be implemented immediately into her son’s program without extra effort on the part of the classroom teacher. I got her email address so that I could send her some links to Feldenkrais sites that included information for ADHD and info on a seminar that will be taking place in town next week that has relevant information on ADHD. She phoned me three days later to make an appointment for her son. She said that she had been impressed by the depth of my knowledge, and was confident that what I had to offer would benefit her son. Value added strategies are not rocket science, but they do take some thought to implement. Next time I will talk about some value added newsletters. See you then!